Krabi, September 2015 – Renowned as one of Thailand’s most luxurious tropical resorts, Sofitel Krabi Phokeethra Golf & Spa Resort is the perfect beach destination for families and romantic couples. Now you stay longer in paradise and save more with our irresistible offer. Book a 3 or 4-night stay and benefit from a 25% saving on our Best Flexible Rate or save a fabulous 30% off your 5 to 7 night-stay at our magnifique resort and enjoy luxury accommodation, gourmet dining, Thailand’s largest free-form swimming pool, activities for the whole family, and much more, all just steps from the beautiful beach. 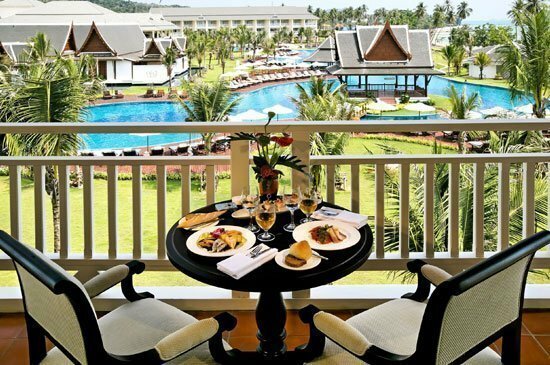 The longer you stay, the more you save at Sofitel Krabi Phokeethra Golf & Spa Resort. Rates start from THB 3,127+++ per room per night. Availability is limited, so book now to save untill 20 December 2015!